I was on the look-out for a 125 cc bike. 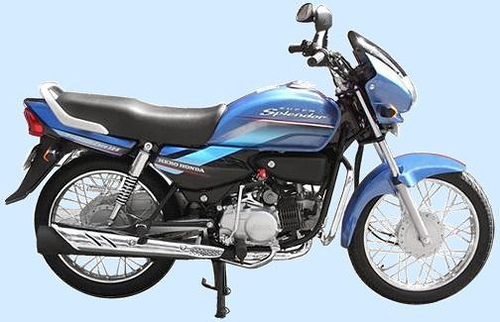 Honda Shine has the smoothest engine and good power. Next is the Super Splendor. I did not quite like Victor or Discover. So I had to choose among 2 bikes. It was a tough choice! Shine, being a new bike, I did not want to bet on it, especially with people commenting that although Shine has a whole lot of cool features, the looks are not good and Honda might come up with a new version of it soon. Plus there have been comments about Honda having starting problems and costly spares. So Super Splendor was the obvious choice. It has decent power, is light and easy to maneuver and has good mileage. Plus Splendor has done well already and so this is a safe bet. Next to decide was the color. This bike is available in 5 colors. I liked the Frost Blue colored bike. Black is good, but then it is pretty common. So here it is. The latest in my &apos;belongings&apos; list. Next Next post: Heard of Mr. Frank Abagnale Jr?